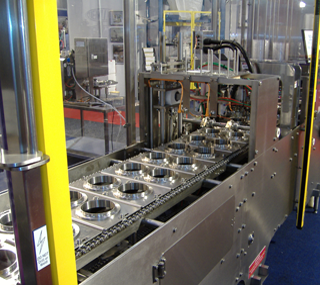 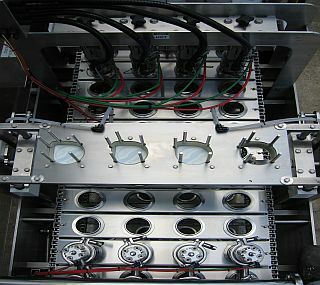 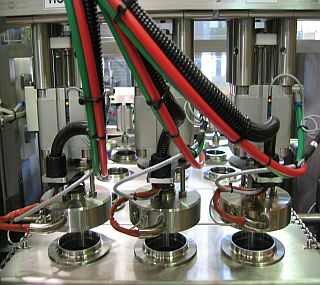 Makum manufactures Inline Tub Filling – Sealing – Lidding machines with the number of lanes being dependent upon container size and output requirements. 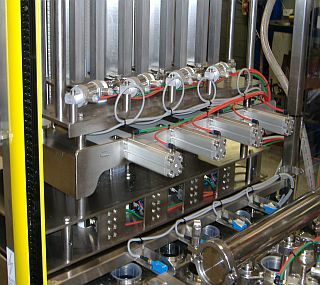 Each machine is specifically tailored to the client’s product requirements and production specifications. 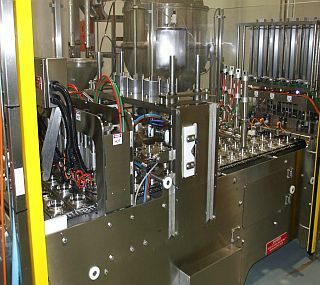 These machines are designed to automatically dispense containers (tubs, cups, pots, bottles), fill the containers with product, place membrane or foil onto the containers, heat seal and / or place lid and eject the containers from the machine. 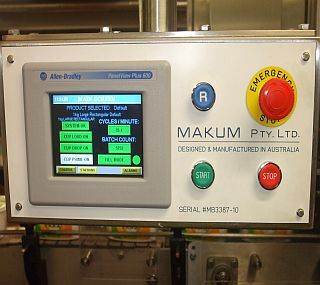 Makum can supply these machines in both pre cut and reel stock heat seal versions. 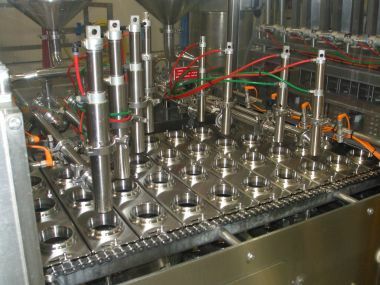 We can incorporate multiple filling stations into our inline tub filling machines for pre and post dosing of product and can also dose dry products such as nuts and dried fruits. 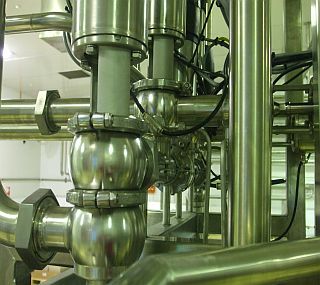 We can supply dosing systems to suit a wide variety of products including but not limited to, margarine, yoghurt, butter, sauces (hot and cold fill), jams, juices, salads, nuts and dried fruits. 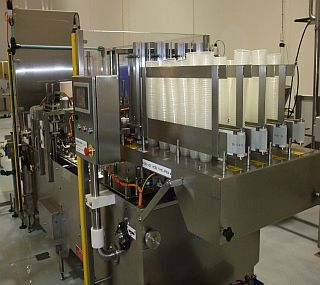 Other options available include bottom up filling, lift and turn of tubs for swirl effect, settling stations to ensure product sits evenly within the tub. 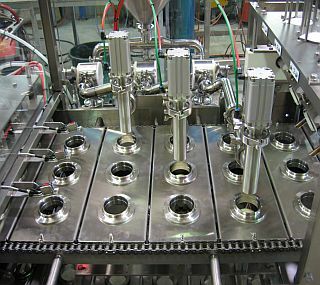 Change parts can be supplied with our inline tub fillers for various packaging sizes and shapes and we can also supply dual indexing machines to minimise change over requirements where multiple packaging sizes is needed. 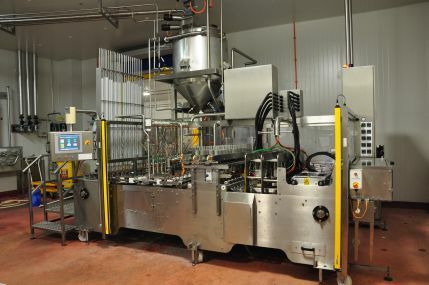 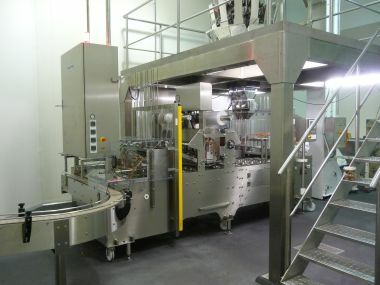 The machines can also incorporate pre- and / or post fills and can be fitted with options such as Evacuation and Gas Flushing, to achieve maximum product shelf life. 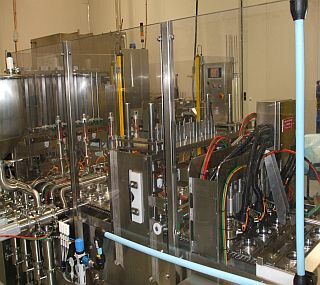 HEPA air flow cabinets can also be incorporated into our machine design and construction. 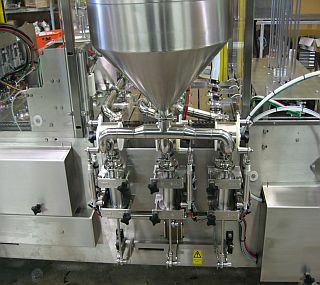 CIP is available on all of our inline tub filling machines. 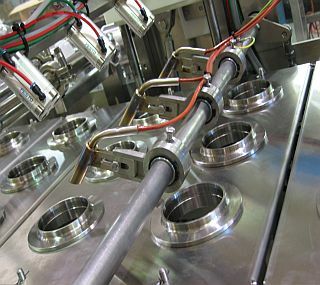 All machines are of stainless steel construction and are open plan design allowing ease of access for operation and cleaning.